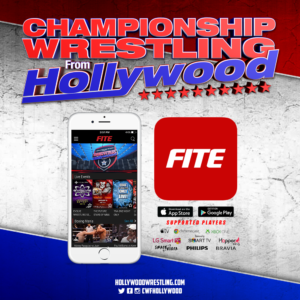 The first episode of Championship Wrestling from Hollywood’s newest blockbuster event, Coastline Clash, is now available via FITE TV anywhere and everywhere in the world! In front of The Oceanview Pavilion’s largest crowd of the year, every title was defended, grudges were settled and history was made. Now the action comes to your tv, laptop and streaming devices thanks to FITE TV. PPA is the champion, but Darevko has held the stolen belt for weeks. Will PPA get it back? Or will the conniving Russian and his stone-faced enforcer thwart Avalon again? For more on this match, click here! Without question, Morgan is a proud and fearless champion. 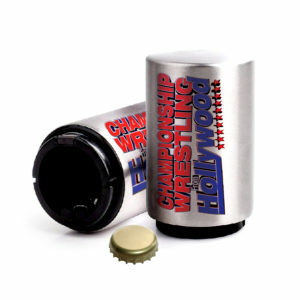 But with manager Stu Stone recently sidelined after a brutal attack, one wonders if Morgan’s “Open Challenge” is wise. For more on this match, click here! Women’s Wrestling Returns to CWFH! Kamora vs. Ashley Grace! CWFH is proud to feature women wrestlers in active competition for the first time in years. Will this be the start of a Women’s Division? For more on this match, click here! 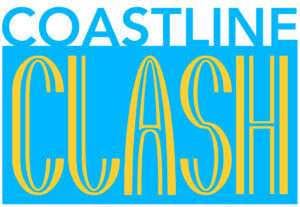 The always-scheming Ty Matthews brings Eric Watts and “hyperoptimism” to Coastline Clash! But why? FITE is the app that let’s you enjoy MMA, professional wrestling, boxing, and traditional martial arts right on the screen of your TV – when you want to and where you want to. WHERE CAN I GET FITE TV? Learn more about FITE TV from a very familiar face….